Samsung took stage in IFA 2014 to release two new additions to its popular Galaxy Note line – the Note Edge and the Note 4. 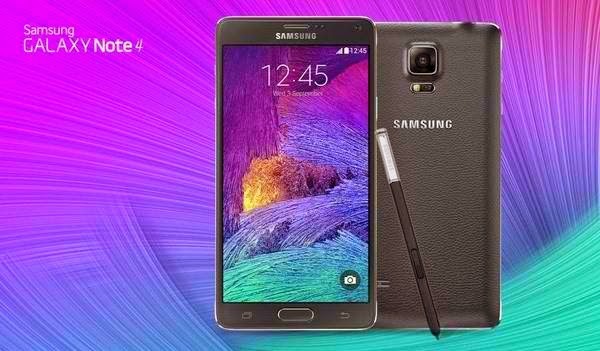 The Galaxy Note 4 is everything that we have expected it to be - vibrant display, fast processor and fully loaded S Pen-centric software. Check out, right after the fold, all the things that you need to know about the current Android king. In the history of the Note series, this year's display deviates with the norm since the Korean outfit preserved the 5.7-inch Super AMOLED tech. However, the Note 4 is packed with an eye-watering quad HD screen that revved the pixel density up to 515ppi from 386ppi. To be specific, the current device now packs 1440 x 2456 pixels in its screen. In terms of design, this new handheld packs the same metal frame that we have seen with the Galaxy Alpha making it look more premium than ever. The back plate is still removable for those planning to have multiple battery packs in their bags. In its gut, the Note 4 comes with two different variants - the 2.7-gigahertz quad-core Snapdragon 805 with LTE Cat 6 and the company's proprietary Exynos 5433 chip with LTE Cat 4. The chipset is also allied with 3 gigs of RAM. Across the board, there's the 32 gigabyte of internal memory and the ever-present microSD support. You’ll also get a bucket-full of sensors – UV, accelerometer, barometer, proximity, finger scanner and heart rate monitoring. Likewise, the device is also packed with WiFi a/b/g/n/ac, Bluetooth 4.1, NFC and Infrared connectivity. The camera is also something to look forward to. The current 16-megapixel shooter features the new Smart Optical Image Stabilization which counter-balance camera shake, while the 3.7-megapixel front camera packs an f/1.9 aperture that promises a 120-degree shooting which is, obviously, catered for selfie shots. Of course, the S Pen is now better with a few tricks of its own like fountain pen and calligraphy modes. The revamped TouchWiz that we have seen in the Galaxy 5 is also omnipresent in the Note 4 together with several Samsung proprietary applications like S Health 3.5, Download booster and Ultra Power Saving Mode. 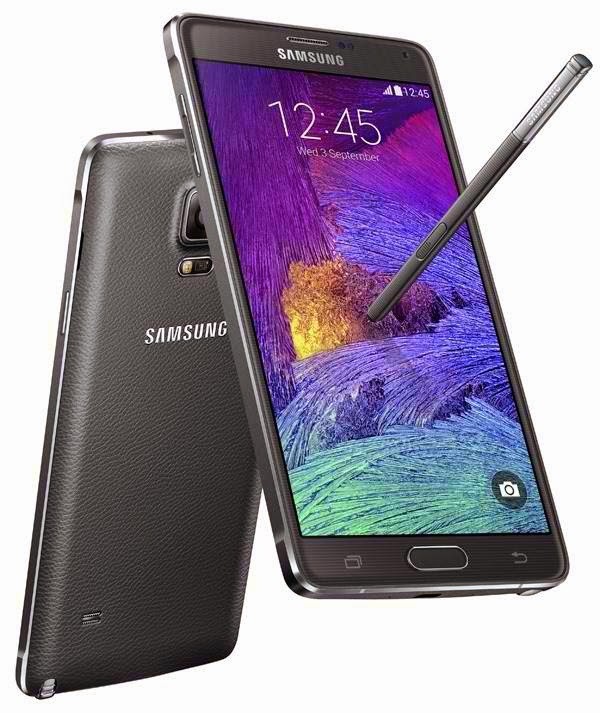 The Galaxy Note 4 comes with 3220 mAh of juice to support its big guns. It will be available in October in Charcoal Black, Frosted White, Bronze Gold and Blossom Pink.